I’m struggling today. I woke up to the news that one of the true shining lights of literature, Maya Angelou had passed peacefully away. Regarded as one of the greats of American literature, the ripples of impact from her writing were felt all over the world. I feel unutterably sad. I’m in black, I’ve wept and I’ve thought about the millions of us who will feel her loss, from Barack and Michelle Obama, to Oprah, to little old me. I then thought about her family of which she was so proud, and wept all over again. She has been a stalwart of my life since my late teens. Never assigned reading, on one of my frequent forays to the library, I found her books as though called to read them. I brought the autobiographies, the poems, devoured microfiches of her news cuttings and wondered how strong you’d have to be if someone else had lived her life. As my son crawled into our bed at 2am this morning, not feeling well at all, he cuddled up against me, my arms around him. I thought of when Ms Angelou was woken by her mother, telling her to wake up. Not to move, just to wake up. She woke to find her arms protectively around her newborn son, and her mother reassuring her that she was doing ok. Why I thought of that, last night, when I’ve not thought of it in years, I do not know. I hold these two highly over my head and my heart, reminding myself time and again, pick yourself up. Start over. You are ok. You are enough. 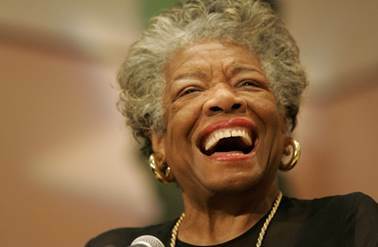 Then in my late teens, when I found Ms Angelou and realised that education was the ticket to getting out, getting on in life, will take you anywhere. I was angry. And her words lead me on to read, and read and read. Educating myself, each book pointing the way to the next in my journey. Most of my books have underlined passages, words that spoke so loudly to me, it was like a siren going off over my head. This week I read this story, a boy who knew that if he worked hard, studied hard, he could achieve anything, despite being homeless, despite his life struggles, he was made Valedictorian of his class. I felt ashamed of giving up on myself, letting myself settle, not pushing myself harder when I had the access to free education. Not that I would give anything up in this life that I am living now, as I’m happy with where I am. But on the other hand, in my home country and in my adopted country we have two conservative governments who are demanding that university fees go up. Leaving people with a potential $500,000 debt to become doctors in Australia. If you are truly inspired to become a doctor, and you push through to the end of you university degree, how do you begin to pay back that amount of debt? Well, it will take years, you’re likely to take the highest paid job you can, charge the highest amount you can to pay it back quickly, leaving the people who will need your services the most unable to access you. That also saddened me beyond words too, that we’re pricing education, the only true ticket out of poverty, out of the reach of practically everybody. When I packed up my books to move from the UK to Australia, I hesitated packing Ms Angelou’s biographies and poems that had kept me company on the course of my teenage to adult life. Reluctantly, I consigned the well-loved, well-worn, dropped in the bath, bashed and battered books to the charity pile. How I wish I had them with me now to re-read. Maya Angelou, for the amount of times you held my hand, held my heart, I can never repay you.